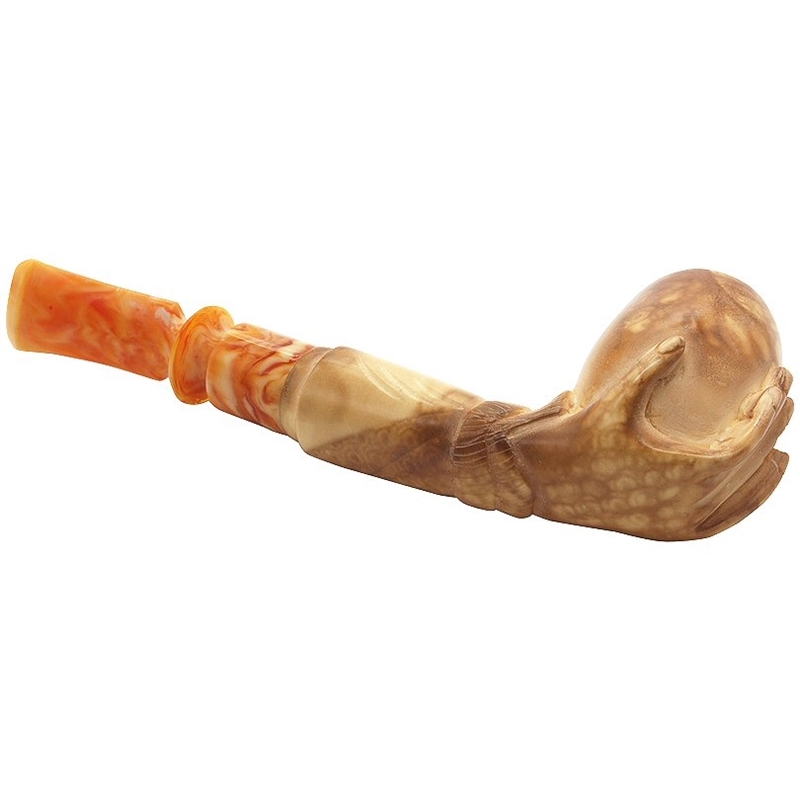 Deluxe Hand Carved Signed Cevher Colored Hand Meerschaum Pipe - Nicely pre-colored pipe is signed on the shank by carver Cevher. 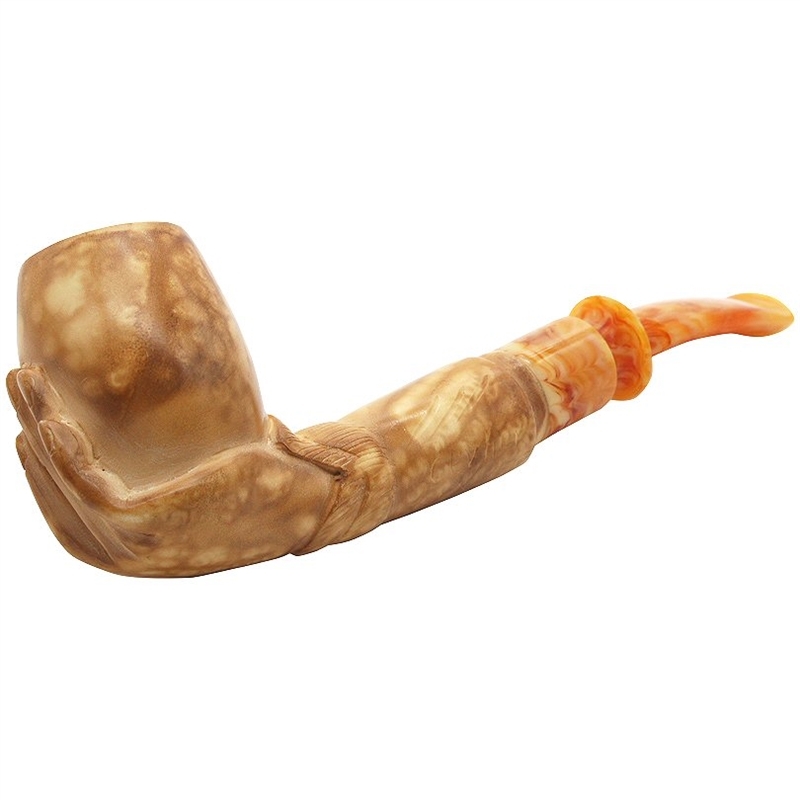 The smooth bowl is nice and deep and held by a ladies hand. 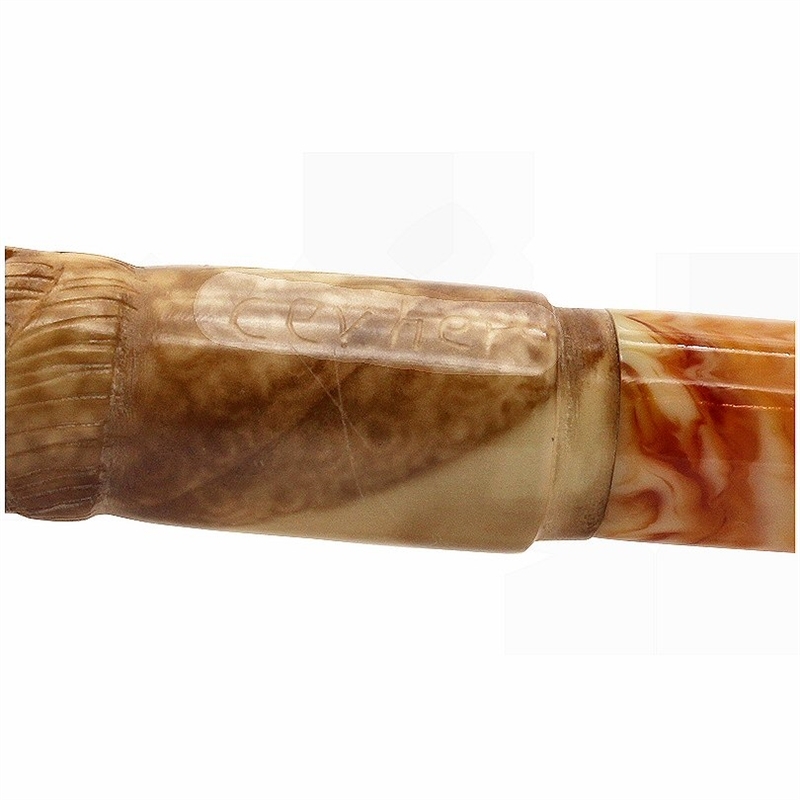 The shank is carved to be the lady's dress sleeve with a decorative cuff. 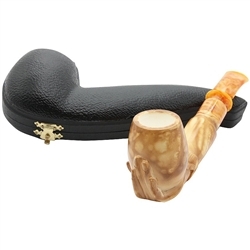 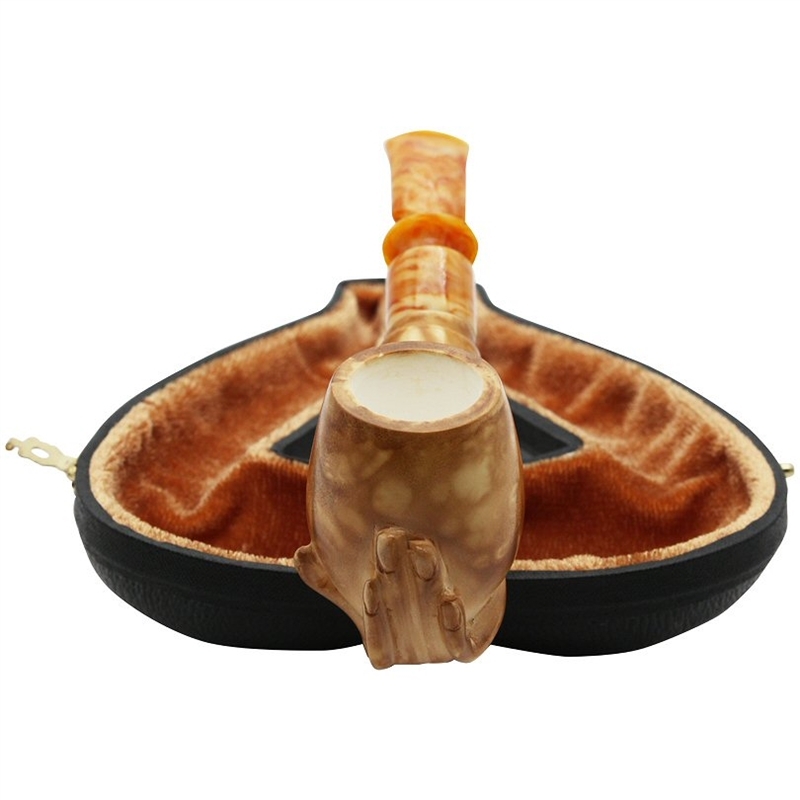 This pipe features a unique saddle stem with a slight bend.